Sorry that’s it’s super late, it was a busy day for all of us here at HR Daily. The World Series is over, and holy mackerel what a World Series it was. 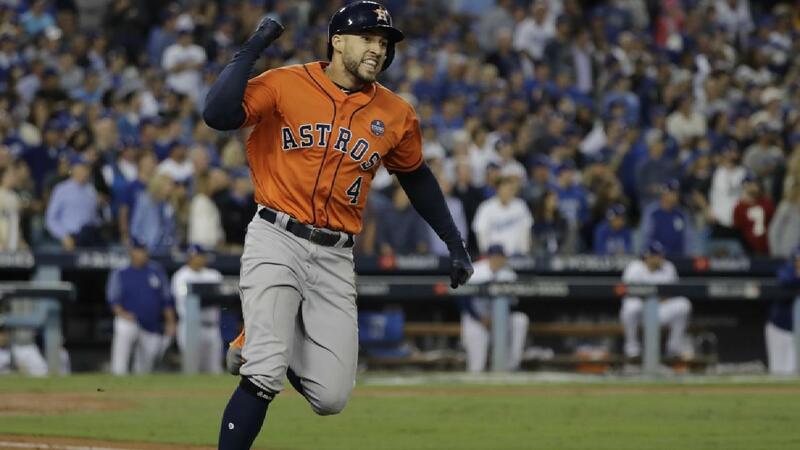 After six tense, enthralling games between the Houston Astros and Los Angeles Dodgers, it all came to a head in Game 7. And in the end, Houston stood tall, stronger than ever. Just as the clock struck midnight to usher in November 2, 2017, Charlie Morton forced Corey Seager to groundout to Jose Altuve to end the 2017 Major League Baseball season, giving Houston its first ever World Championship. The Astros exploded from the visiting dugout at Dodger Stadium to celebrate their 5-1 victory, bringing the Commissioner’s Trophy to Texas for the first time ever. Just four seasons removed from a 111 loss season, Houston had won it all. Game 7 wasn’t the greatest baseball game ever played and was nothing compared to the thrilling conclusion of last year’s Fall Classic, but still managed to be pretty tense. Houston jumped out to a 5-0 lead by the second inning thanks to some old-fashioned hustle and a two-run blast from George Springer, chasing Dodgers starter Yu Darvish, who simply didn’t have it. That was all the run support you would have thought Astros starter Lance McCullers would have needed, but he was shaky in his own right, hitting four batters in just 2.1 innings. That got him the hook as well. But, in a departure from the shaky bullpen trend we’ve seen on both sides all series, Houston’s relievers managed to lock it down. Charlie Morton pitched the final four innings for the win, giving up just one run. George Springer’s five home runs earned him the newly christened Willie Mays World Series MVP award and tied Reggie Jackson’s record. Springer was Houston’s best hitter throughout the series. George Springer’s performance was one of the most remarkable in World Series history. (MLB). The victory is especially significant for Carlos Beltran and Justin Verlander, who finally win a World Series after their entire careers. I’m much happier for Verlander because, unlike Beltran, he didn’t jump around to every team that had the best chance to win it all at the time. He stayed loyal to Detroit for his whole career and did everything he could to help that team win, only leaving via trade. I know that Beltran was traded a few times, but Verlander worked far harder throughout his career and deserves the honor more. I don’t have a particular issue with Beltran, that’s just how I’ve always seen him. I’ve always felt like he cares more about his own success than the teams he’s been on. Houston shortstop Carlos Correa was being interviewed by Ken Rosenthal during the team’s postgame celebration when he suddenly proposed to his girlfriend, who was standing nearby and accepted jubilantly. Maybe I’m a cynic, but I didn’t care for that. I’ve grown to like Correa a lot and I’m not saying that he did it deliberately, but it kind of took the spotlight off the team’s accomplishment and that’s where it should have been the whole time. Though it puts the cherry atop an incredible season, Houston’s victory extends far beyond the confines of Minute Maid Park. This past summer, baseball took a backseat to reality as parts of the United States were ravaged by Hurricane Harvey. Many regions were slammed by the storm, but no one place felt its wrath more than Houston. Millions of Houstonians had their homes destroyed and almost 100 lost their lives. With the city pretty much at rock-bottom figuratively and literally, the Astros decided to get in the act. The city synonymous with rockets and space needed a propulsion more than ever before, and its beloved Astros did not disappoint. Real life tragedies have often served as motivators in the history of baseball. Just as the 2013 Boston Marathon bombing propelled the Red Sox to World Series glory, AJ Hinch’s team put its beleaguered city on its back and never let it down. Though a World Series triumph cannot possibly replace what was lost in a real life disaster, the Astros’ victory gives Hoston a reprieve and a reason to smile, something it hasn’t had in a while. Boston Strong, Houston Strong. Different cities, different teams, same message. Five years ago the Astros were the doormat of the American League and the laughing stock of the game. Oh how quickly things have changed. Nothing could stand in the way of the Astros in 2017, not even both sides of baseball’s most storied rivalry or a team that won 104 games. Hats off to Houston. You’ve earned it. History Earned. Houston Stronger than ever.